Eurostar opens sales for tickets to the French Alps today. 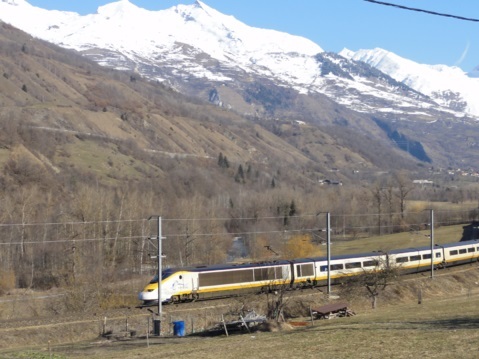 Direct services stop at Moutiers, Aime-la-Plagne and Bourg-St-Maurice. Passengers can travel Friday overnight, Saturday daytime or Saturday overnight. The 2018/19 seasonal ski services will run weekly from December 21 2018 until April 6 2019, with fares from £75 each way. This season, Eurostar has partnered with Maeva to offer a curated range of chalets and rentals across the resorts of Moutiers, Aime-la-Plagne, Bourg-St-Maurice, Val Thorens, Val d’Isere,Courchevel, Tignes, Meribel and Les Menuires. Train travel, accommodation, lessons, lift passes and equipment can be booked together through Maeva from July 21.